Affidavit photos of Chin Yick Thlew and Chin Yock Can,“ 1940, Chinese Exclusion Act case files, RG 85, National Archives-Seattle, Chin Yick Thlew case file, Seattle Box 823, file 7030/13465. 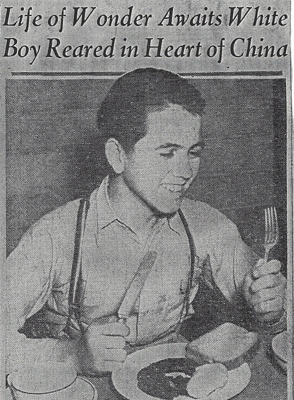 Chin Yick Thlew, 陳溢秀, age 15, took the long journey from China alone on the Princess Marguerite, arriving at the Port of Seattle on 11 January 1941. 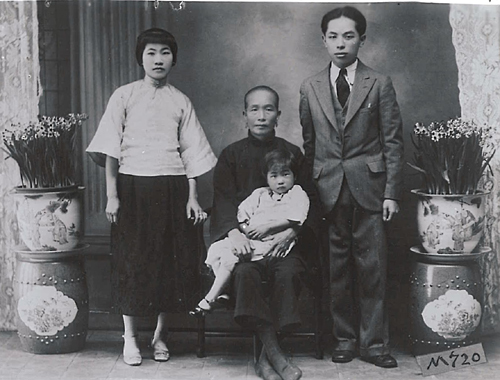 She would be living with her parents, Chin Yock Can 陳煜芹 and Dong Shee, at 1211 Cornwell Avenue, Bellingham, Washington. Her father was the son of Chin Tong, an American born citizen. 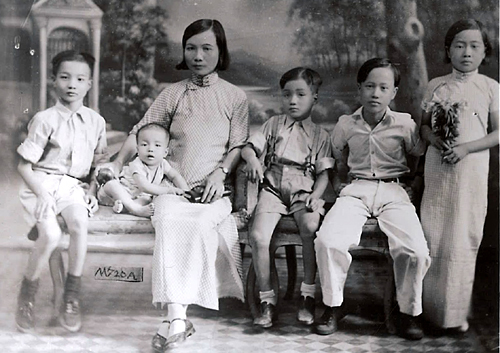 Their older son was living in Lung Hing Village, Look Toon Section, Hoy San District, China, with his grandparents. Their son, Chin Yick Goon, and daughter, Fee Lon, and two younger children were living with them in Bellingham. 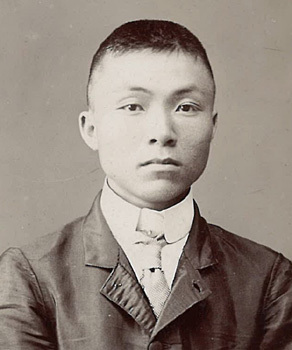 Chin Yick Thlew was admitted in spite of the District Director of Seattle Immigration, R. P. Bonham’s claim that there was some unsatisfactory testimony. Several of the family members changed their interview answers so that everyone’s story agreed. Their attorney, Henry A. Monroe, explained that the parents were afraid that if their testimony did not agree completely with their daughter’s, she would be sent back to China. Chin Yick Thlew was held in detention for almost five weeks. She mis-identified a family member in one of the photographs presented during the interrogation. Everyone involved was questioned over and over. The parents were distraught and decided that whatever their daughter said they would agree with it in their testimony. Finally, Monroe who had been working with Chinese immigrants for thirty-five years, stepped in. He got everyone to tell the truth and straightened out all the misunderstandings. There were over thirty pages of interrogations from Chin Yick Thlew, her father, mother, and her brother, Chin Yick Guoon/Goon. 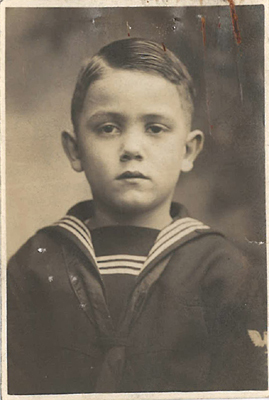 Files for her father, mother, grandfather, two great uncles, three uncles, a brother and a sister were reviewed. 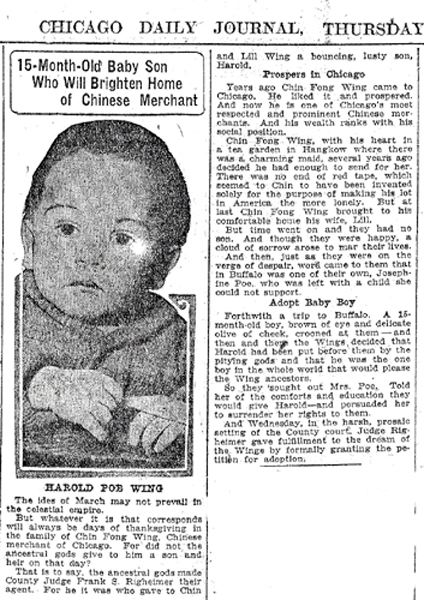 Chin Yick Thlew was admitted on 19 February 1940. Photos included in the file.